Short 19 km today but with no village or town in between. 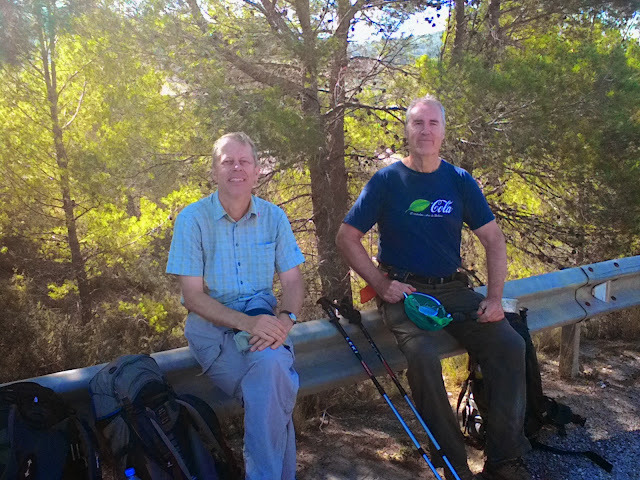 The German pilgrim from form yesterday managed to arrive just in time for dinner after 8 pm and today the three of us walked together. The only other pilgrims are a Spaniard Parco and an Italian Paolo but they are always the early riser. Again the obligatory visit to the police station here to get the keys to the albergue. At least for today, we were redirected to the ayuntamento (city hall) where the registration for the albergue way faster. I seriously think the local police should be trained better in data entry. They seems to take forever to fill in data in the computer. The next two days will be a challenge. 27 and 38 km without a town in between. 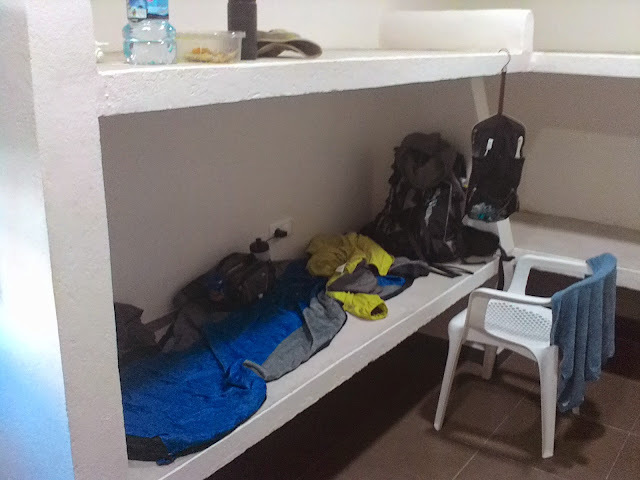 The albergue here in La Font de la Figuera is nice, new and cozy but with a major flaw. Only two mattresses are available and they are already taken up by the first two when we arrive. 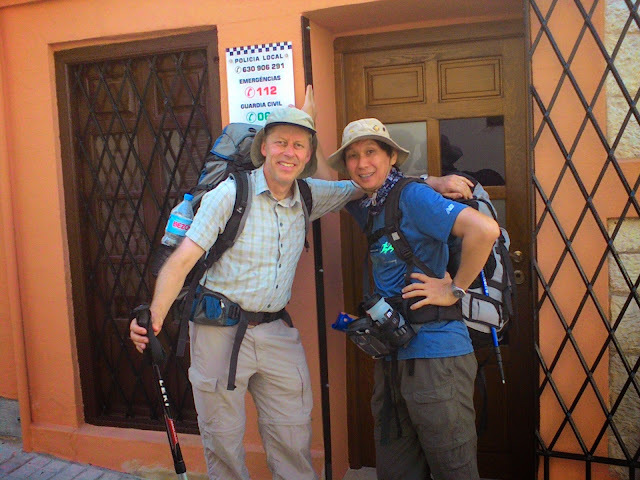 Michael and Manfried (German pilgrim) just can't take the hard surface so they are off to find a pension/casa rural. I am OK with it so now I have the other room all to myself. We will meet later at the supermarket to buy provisions for tomorrow and also for dinner. 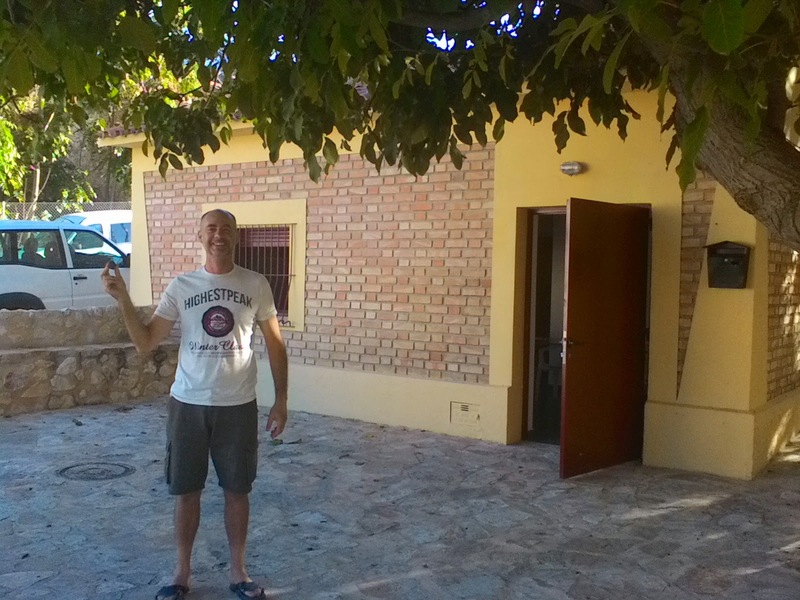 After a nice shower, there is Paolo showing me the walnuts from the tree right outside the albergue. They taste great (and natural) but slightly wet unlike those you get at the supermarket. Always nice to try to pick fruits along the way. I have a feeling it will no longer be possible after today. Already the orange groves in the past few day has been replaced today with olive trees. 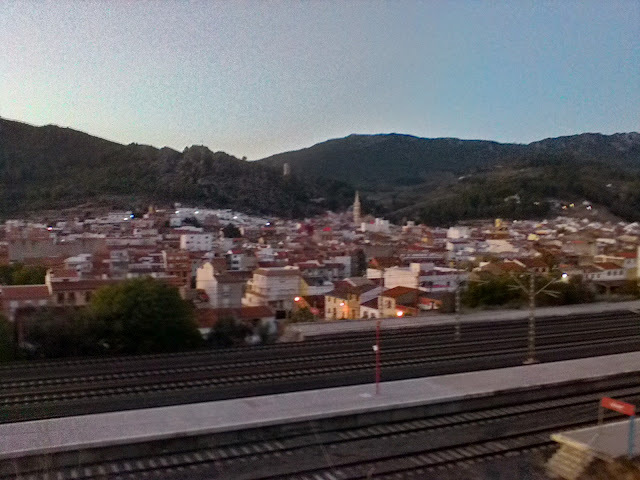 This is the last town in the Valencia district as tomorrow we will officially be crossing to La Mancha. Guess, it was my husband, who arrived just in time for dinner. Same at home!! !Thank you for the nice reports and fotos about your walk I expect some more interesting details in the next few days.